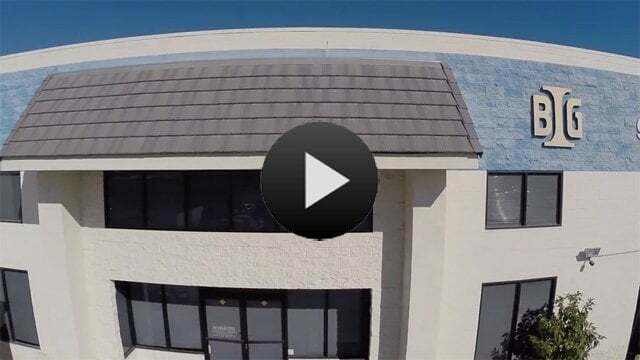 Protect the guards who are the first line of defense at your facility. Hundreds of styles and shapes of guard houses and equipment shelters. You can also access drawings and specs. 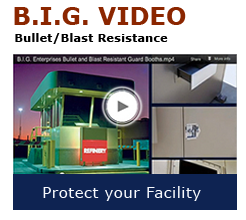 "Based on my long career with federal and corporate facility perimeter security, I would call B.I.G. THE industry leader in prefab guard booths. No one else has their quality, their wide variety, their skills and their climate and application knowledge regarding what works best. They are without peer." A major agricultural firm turned to B.I.G. for a guard shack that would assure consumer confidence, gain FDA approval, as well as combat criminal and terrorist infiltration. After their guard house installation, the firm wrote to us: "This was no small matter, you delivered a week early and gave us the most value for the dollar." Guards can spend up to 12 hours a day in guard shack enclosures. B.I.G. 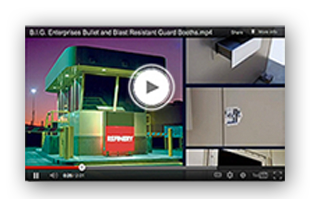 understands that comfort is key to performance and we work to provide the elements needed so your guards can be productive, including ADA restrooms, high-quality HVAC for extreme weather, bullet and blast resistant options and ergonomic interiors. Our bundled shipping procedure allows for affordable shipping coast to coast. Our guard booths, attendant booths, equipment enclosures, bullet-proof booths guard shack enclosures, guard houses, security guard shacks, portable guard shack, equipment shelters and cashier booths ship fast and we work to keep shipping costs to a minimum. A premier manufacturer of security and revenue control booths for more than 50 years. You’ll find premium solutions for all of your security booth needs. We manufacture premium quality guard booths, attendant booths, equipment enclosures, equipment shelters, bullet-proof booths and cashier booths for a wide variety of clients. Here are some of our recent “success stories”. 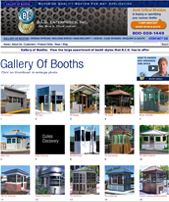 Please browse our gallery where you will find innovative guard booths, portable guard shacks, attendant booths and many more models featuring customized steel construction and Critical Span Engineering. 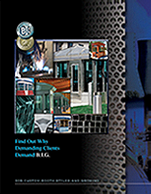 Check out over 100 booth models or ask for our 138-page catalog to be mailed directly to your desk. 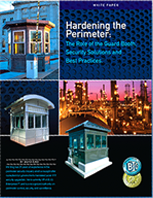 The Role of the Guard Booth, Security Solutions and Best Practices–fourteen pages of technical expertise. Here are a number of questions and comments that "Ask Dave" has responded to. We welcome your comment or question. B.I.G. Enterprises, Inc.™ is a member of N.P.A., I.P.I., B.O.M.A., ASIS, C.P.P.A., C.S.I., P.A.C. and LADBS Certified Fabricator License 1326.